Advertising your event or business can be daunting, and expensive. It’s important to make an impact to deliver good brand awareness and present your venture as early as possible. A good inexpensive way of self promotion can be found in banner printing. Printed on 440gsm vinyl they can be produced quickly and can be beneficial for many different types businesses. They are a great way to advertise on sides of buildings, shop fronts, fêtes, markets and exhibitions. They can be used as semi permanent shop signage and even as signs to direct customers to temporary events. If designed wisely they can be a long term investment as the flexible material allows them to be rolled up for easy storage. Banner printing is a worthwhile investment for any start up venture, with the flexibility of large format sizes and full colour print they a are useful cost effective marketing tool for any industry of any size. Made from water proof material and printed with UV resistant inks they are hard-wearing and can be left outside in all weathers, you can choose to have eyelets sown into the material to make hanging your banner a breeze, or alternatively they can be left unfinished to mount on indoor frames for use at exhibitions or other indoor events. 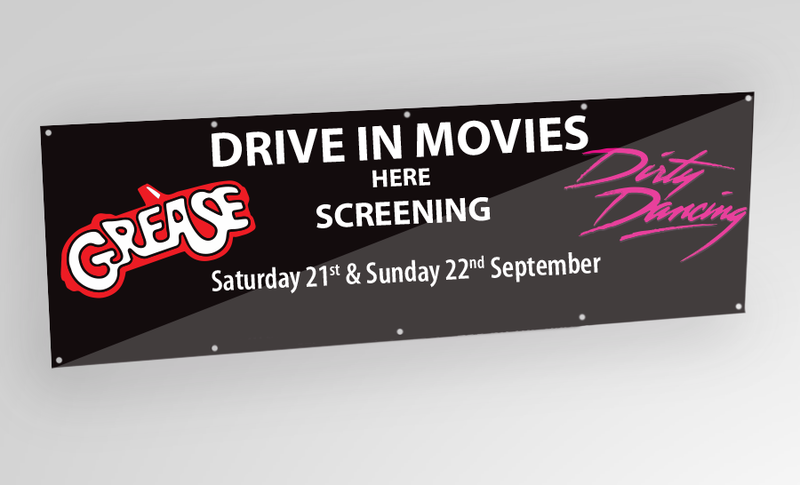 We can print full colour banners, hemmed with brass eyelets at competitive prices. Printed with solvent inks they will not change colour over time. We can print them as little or large as you need, with a fast turnaround guaranteed. If you need a quote please contact us. What do you need and what's it for? What is nine + 3? What are banners useful for? We currently print banners for nightclubs, shops and pubs to name just a few. They are great for promoting your business, product or service as they grab the attention of your customers. They are commonly used to promote special events. How long do they take to print? Our turnaround from payment to print is 5-7 working days dependant on requirements. PLEASE BE AWARE THAT BANNERS ARE ONLY TEMPORARY SIGNAGE AND WE CANNOT BE HELD RESPONSIBLE FOR ANY FITTING OR INSTALLATION ISSUES. AS WITH ALL FORMS OF TEMPORARY SIGNAGE, THEY SHOULD BE TAKEN DOWN IN WINDS EXCEEDING 30MPH.